Mid-East 32 Inch Turkish Oud Walnut Padouk & Gig Bag OUDT. 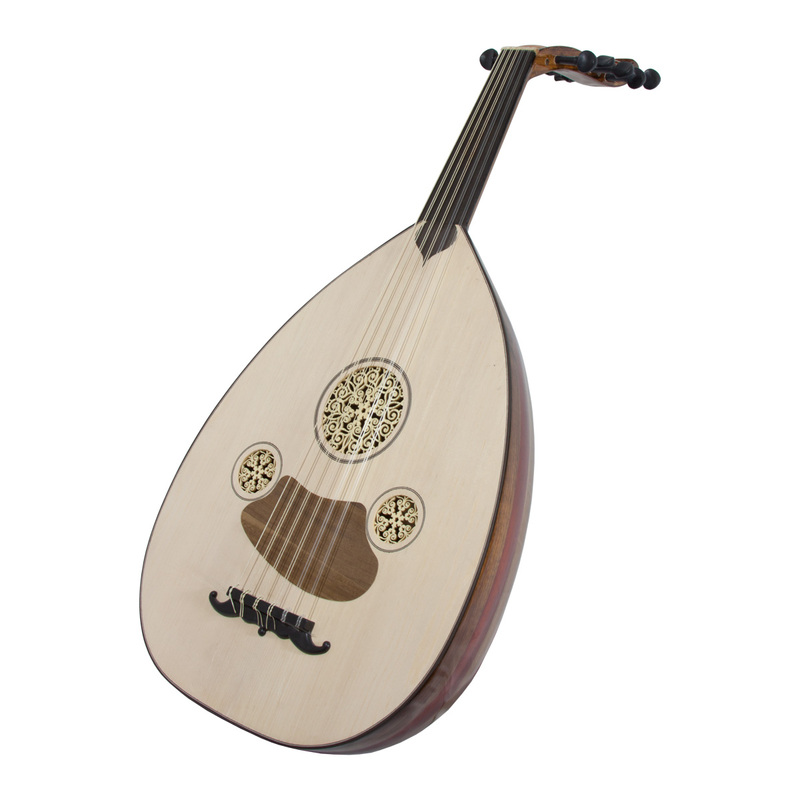 Turkish oud with classic tear drop shape and bowl bottom. The Turkish oud is played in traditional Turkish and Mediterranean music and is known for producing a powerful, resonating sound. This model features a walnut and padouk Wooden body and neck with a beautiful shiny finish. Body: 21 staves of walnut and padouk veneer featuring alternating red and brown colors with a shiny finish. Neck: Alternating red and brown walnut and padouk veneer covering a spruce core with a Hardwood fingerboard. Soundboard: The sound board is spruce and has 3 round sound holes with a beautiful lace wood rosette carving covering each one. Includes a black painted Wooden pick guard at bottom to help prevent scratching the sound board. Tuning Pegs/Levers: There are 11 Wooden pegs and 5 courses of strings.